The talk of the town is none other than this Malaysiakini report headlined” Pak Lah vows to foil Sept 16 http://www.malaysiakini.com/news/88849 . A local blog the brokenshield wrote on August 10th that September 7th is the day where it will see PRS discusses the expulsion of Larry Sng. Doesn’t this word sound familiar ,”thorn in the flesh”..? SAPP or YTL in particular was also referred as a thorn in BNs and Abdullah flesh. Will the AXES and the GUILLOTINE fall on these two..? Some on the ground are already expecting especially SAPP that it is a matter of time sooner rather than later when the CHOP comes. 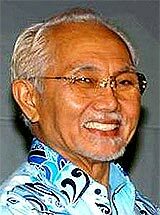 As for Larry if all the rumours are to be relied and eventually come true PRS as brokenshield puts it i extract from the site,”Taib may be the first person to join Anwar if he knows that Anwar is going to form the next Federal Government in the interest of “Negara kita, bangsa kita dan agama kita”. In doing so, Taib is not only saving his own skin and protects his family’s business, but he may also be given a special position in the Anwar government. If this scenario is to materialize, then we Dayaks again will be caught with our pants down and will be left behind – this time we will be left far, far behind.” Larry will be saved don’t you think..? Indeed September 7th will be a date the Party makes the decision. Of course there are elements within the groups that say Larrys divisions are split. It is the work of some who justs wants to pracise the divide and rule to slowdown the movements of the Dayaks. Party before self interests and a few of them are saying on the ground,”All they want are Councillorships” .This issue remains a hot topic as the Minister in charge is asking for the lists from the 4 BN parties at the end of September. The BN leadership too is looking closely from the local blog the brokenshield ,”The presence of Sng Chee Hua and Sidi Munan who are aligned to Larry Sng were allegedly seen in the company of Anwar Ibrahim in Permatang Pauh.” I cannot confirm this but this has been going around for days in the local political circles. On numerous occasions, Anwar has claimed that he will get the required 30 MPs from the ruling coalition to jump ship to give the Pakatan Rakyat comprising PKR, PAS and DAP, a two-seat advantage and the right to form government. There are no enemies in politics and in any arrangements they become allies against a common enemy at the time. Today nobody can still spell,”LOYALTY” to me without even blinking their eyes.hahaha. PRS embroiled in internal conflicts for far too long should move a step forward. James Masing will have to make the right calls and the right choices on who sticks with him and who gets washed away by the rushing flood waters. Larry on the other hand should rethink,reshape and retrack where he went wrong.One too many of his true loyalists have been left standing ” HEADLESS “. TIME TO MOVE ON…..and serve a master who appreciates and recognises the values of each and every member. Sure someone will say James is no better.Aiyoo yo we know this is politics. We can’t teach dinosours to dance but at least James can move his hips. “Unity is strength” Not born yesterday lah says a divisional exco member. The divide and rule tactics are no more relevant in this day and age and if it does the “ugly head” will be chopped off. The ones who can contribute to the country in terms not just mere political rheotorics are those who cares about the nations well being and economic progress. These are the NEW FACE of Malaysia’s Political system and the direction of the political parties. I will say it again,BN or Pakatan if it does not re-engineer,re-invent,re-model ,re-assess they will be REPLACED by the 13th General Elections. Don’t forget the voters are the people who mark X. and the party members are the voters who thinks that “person” is a good candidate to represent the party. Our people are already 51 years old and we are more mature and old ways of politiking is a thing of the past. Malaysians now want leaders who can move the country forward and carry themselves in the international arena. There are too many “elements” who don’t know the insights of how a political party is run but all they want to do is destroy the very institution it was built on.Don’t political parties have their own constitution with their “AIMS and OBJECTIVES“…So Parti Rakyat Sarawak your call..you have my vote if the concensus is the “Party MOVES on”….Any more questions..??? Hope or Mistrust, Ugly or Beauty. Young or Old, Equality,Justice,Free of Corruption,Change as Malaysia Day falls on Sunday I made my way to attend Sunday service. I was waiting to hear God’s words being delivered to us but the priests read out a letter from the Bishops of Malaysia congratulating the country on its 51st Merdeka day. He calls on the leaders and the peoples representative to maintain stability,peace,harmony and religious freedom. They also told the congregation that we have to respect our FLAG which is the symbol of the country and if we do not respect our own flag nobody will respect us as citizens of the country. Malaysiakini futuristic report: Merdeka in year 2057 http://www.malaysiakini.com/news/88886 is indeed a good article to ponder,very imaginative and creative writing by the writer. “Show us the Way” Abdullah or Anwar is just for us to think whether the country after 51years of democracy should still see Abdullah as the PM till the 13th GE or to have Anwar using his charismatic and persuasive powers as opposition leader gets a grip of the country in his pursuit of the “September 16th” agenda and enthrone himself as PM. Abdullah to me is a reformist as I told a Doctor Anwar who was having breakfast just opposite the church where i went for service this morning. Your namesake I told him Anwar is an orator and he tries to articulate hope,pride and grief for all in his pursuit to have the Dr.Martin Luther Kings.”I HAVE A DREAM” for a New Dawn in Malaysia. Abdullah though a bit on the slow side while Anwar is a doer. I don’t blame Abdullah for the country but the people surrounding him who thinks that their “Boss: the PM is not up to scratch. By the way Dr.Anwar is a doctor who is sincere and holds good to his chosen profession and I saw him as a patient due to my breathlessness. He said to me,”Must be too much politiking.” I agree and have heeded his advice and things got better. Abdullah has still got 140 MPs with him and it will take a herculean tasks for Anwar to get 30 let alone 42 a senior newspaper journalists told me. Dr. Anwar asks me before I said ,”Happy Merdeka” day to him ..Will September 16th happen..? I said it will as surely September 16th will dawned upon us as its the date Sarawak/Sabah joined Malaysia. Hmmm..True of course lah.!! The beauty of this merdeka day meeting with Doctor anwar was when I told him the whole congregation sang,” NEGARA KU” at the end of the service. Wah..! He said thats good and to me that’s the beauty of the Freedom of Worship. The world … is impressed with Malaysia because not many countries with a multiracial population exist with tolerance, peace and harmony,” Abdullah said while Anwar had this”We see the constitution being weakened, democracy trampled on and national institution turned into tools of the ruling power,” One is the prime Minister of Malaysia while the other an opposition leader. Democracy to me in Malaysia is alive and Malaysia lives to fight another day. It was a beautiful Merdeka Sunday morning I must say……..THANK YOU MALAYSIA. This year the Merdeka celebrations are very subdued. My nieces 5 and 7 years old said to me,”Uncle how come last year most of the cars had Malaysia and Sarawak flags. This year very few ho! How come ho! Why like that one? Tomorrow Uncle its National day and where are all the Small Jalur Gemilang on the cars? Aiyoo even the young ones are feeling it what more the whole country? Merdeka this year has a special flavour which I think is quite appropriate as the country has suffered with too much politiking. The 3+3 are Khairy, Dr.M and Raja Petra in one blue corner while Samak,Ma and Abdullah is in the other red corner. Tun Dr Mahathir Mohamad (former PM),Khairy jamaluddin (UMNO deputy youth Chief) has come out strongly against Malaysian Communications and Multimedia Commission to block access to Malaysia Today, a website owned by Raja Petra (Blogger). Apparently Khairy and Mahathir is seen to be supporting the move to stop internet censorship eventhough Raja is a thorn in the governements flesh with many controversial stories and reports. Tun went further by saying this,” This act of censorship betrays a lack of faith in Malaysia’s youth to intelligently decide the truth for themselves. Tabloids sell far more than broadsheets in many countries, but it would take a bold person to suggest that readers of The Sun or The Mirror in the UK, for example, take all of its content at face value. Well, the leaders of the following countries Samak Sundaravej PM Thailand consulted the king over escalating protests , President Ma Ying-jeou’s China-friendly policies and his failure to lift Taiwan’s sagging economy saw tens of thousands of people took to the streets of Taipei Saturday to protest on the streets while Abdullah PM of Malaysia faces the prospect of his MPs crossing over to join the opposition. This events are not very healthy for the countries concerned and they need to address the situation quickly and stop the calls for them to step down. They are under attack and I do find that they have something in common. Don’t you think so..? Malaysia’s 51st Merdeka also saw to the calls as Mr Sim puts it,” What is the use of living in a big house, they asked, if you are denigrated to a small corner near the stinking toilet? Would it not be better if you move into the master bedroom in a smaller house? Anyway I will still say , “Ini Negara Ku. This is my Country.” and nothing will stop me from saying this. 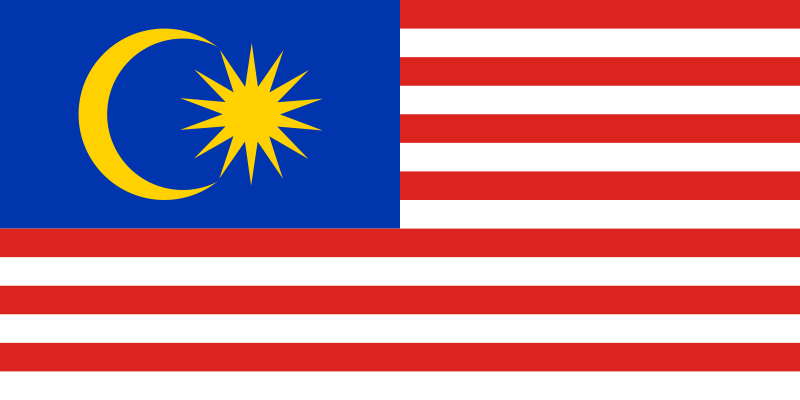 Happy Birthday Malaysia. ****UPDATED 5.00 PM**** sms meassage,” Tan Sri Simon Sipaun question the illegal immigrant issues for Sabah. He related his experience with Suhakam,there are illegals with real mykad n while the real Malaysian who applies still did not get their mykad after 12 years. This should not be happening in our country. Its easier in the COLONIAL days than now when we were Merdeka relating his won experience of getting a Birth ceritificate in those days. He called for a truly commission of enquiry and it is his own opinion and not Suhakam as he has not dicussed with his fellow colleaques. If you compare Sabah and sarawak population growth, there is something wrong with SABAH GROWTH..!!! ****UPDATED 4.50 PM**** BN does not want Sabah,its not Sabah don’t want BN. All Mps and representatives are invited but they are NO SHOW,they miss out to get and listen to the points the people and speakers raised. This are Sabah issues and in Sabah we are divided because of “DIVIDE and RULE” says Yong Teck Lee in his closing address. ****UPDATED 4.30 PM**** Harris Salleh in answering a question from the floor,” he said to increase oil revenue just get the DUN of Sarawak and Sabah to pass a motion saying they want a 25% increase of oil royalty. But then the federal government always turn round by giving Development Grant. Malaysiakini correspondent Tony Thien wrote : War of words between Sapp and Umno http://www.malaysiakini.com/news/88874 and it seems that SAPP has no more “LOVE” for BN and their marriage is now going for a divorce. Whatever the politicians have disagreements it is bests that those on the sidelines stay out of it. If not you will feel the heat too from the oven. The war of words started with senior state Umno leader Yahya Hussain, who is also a deputy chief minister and state Umno secretary, publicly called on Yong “to emulate Raymond Tan (Yong’s deputy in Sapp) with regards to loyalty, mutual respect and humility. In a quick response Sapp information chief Kassim Sulaiman said in a statement today that Yahya has insulted every Sapp member by his remarks and he has no moral standing to tell Sapp what to do. Bugi Wijaya said they are taking pot shots at one another. SAPP remains a thorn in the flesh of PM. Bondoun who commented on my blog said this….. I just received sms that Datuk Harris Salleh former CM has arrived at the SAPP convention and he was given a standing ovation by the crowd numbering 1000. Also present were Jeffrey Kitingan, PKR deputy chairman DAP MP Hiew King cheu ,retired government servants and members of the public. BN YBs who confirmed coming to the function did not turn up according to the SAPP organising committee. It’s HOT and the temperatures will rise. We shall see and we will try to keep you updated……. “I will not allow these disturbances to continue,” he stressed. “I will not permit the mandate given by the people to be seized from BN which won the last election with a majority of the seats based on democratic principles.” As the date nears the PM knows that he needs to show his authority and this statement will send alarm bells to even those who have stood side by side with him. What does he mean.? Is it that straighforward.? If I was him I would wield my sword and make examples of a few to make the whole bunch solid and loyal. Seems that some Sabah Barisan Nasional MPs have rejected the idea of a pledge of loyalty, a move bound to fuel more political uncertainty. Kimanis MP Datuk Anifah Aman, Kalabakan MP Datuk Abdul Ghapur Salleh,Karambunai MP Datuk Eric Majimbun and Datuk Dr Chua Soon Bui of Tawau would not be in a “HURRY” to sign the declaration of loyalty and they each have had their say. It is just ironic that this is happening just after the budget speech and all this will overshadow the goodies included large allocations to upgrade electricity, water and rural road facilities for Sabah and Sarawak. Well, the “Pokok seems to Goyang-Goyang” and Abdullah knows Anwar will not yield until he is successful. Just as I was compiling this report our correspondent Bugi Wijaya from Sabah has this statement form SAPP. Yes, the thorn in the flesh of PM, SAPP issued a statement by the president “Sharkman” Datuk Yong Teck Lee. Looks like with this latest statement, tomorrow’s convention on Sabah Issues would be explosive. The point of no return for SAPP? Let’s wait and see and he will be attending the convention.Below please find the full text of his statement. Trust is vital in fulfilling the budget – can we believe that this government will implement the budget that the PM has tabled today? There are numerous promises in recent years that the PM has yet to fulfill. There have been so many flip flops such as over the fuel prices, the indecisiveness over the double tracking rail project, uncertainty over the Penang bridge, cancellation of the Singapore bridge and the Port Klang Free Port controversy that the people have lost confidence in the PM. In Sabah, the suspense over the fate of the coal power plant in the East Coast of Sabah and the blur over whether to have a gas power plant in Kimanis or a RM 3 billion, 500-km gas pipeline to Bintulu have decimated the trustworthiness of the government leadership among the people. Other examples that have made people to lose confidence abound. For instance, on 10 September 2004 the PM proclaimed a budgetary proposal in Parliament to implement a Goods and Services Tax (GST) on 1 January 2007. But because the PM did not realize the adverse consequences of a hasty GST, the Minister of Finance, who is also the PM, had to declare eighteen months later (in February 2006) an indefinite deferment of the GST proposal. Never before was a budgetary proposal (which was later approved by Parliament) failed to be implemented by the government due to ignorance of the implications of a GST in the country. The 2005 budget too had declared its aim to raise RM 20 billion through PFI (Private Finance Initiative) for infrastructure projects as domestic investment in the economy. Hardly any of this RM 20 billion was raised up till last year. This budget 2009 is silent as to the future of PFI and did not address the difficulties faced by the construction sector due to increased construction costs in public infrastructure projects. Economic and corporate management is still suspect. The sale of M.V. Augusta, which Proton Holdings Berhad had sold to a third party for one Euro (RM 5) who then resold the M.V. Augusta for RM 358 million (Euro 70m) last year. At the same time, the Malaysian corporate sector is still reeling from efforts to mitigate losses over national icon Malayan Banking’s purported purchase of PT Bank Internasional Indonesia (BII) for a total of RM 12.7 billion. This follows soon after Maybank share value lost sharply upon announcement to purchase 15% of a Pakistani bank (MCB Bank Ltd.) at RM 2.17 billion. The PM has yet to effectively explain how confidence can be restored among both domestic and foreign investors. After the general elections of 8 March, investor confidence was so low that, in the 2nd quarter of 2008 (April to July), domestic investment dropped to RM 2.6 billion from RM6.7 billion (in the first quarter ending March 2008). Foreign Direct Investments (FDIs) was even more bleak, dropping from RM 16 billion to a mere RM 7.3 billion in the 2 quarter compared to the first quarter before the 12th general elections. The budget presented by the PM today did not address this loss of investor confidence. There is also no sign of the so-called RM 1 billion each allocated to Sabah (and later Sarawak) as announced by the PM on May 30 in Kota Kinabalu. Neither did these RM 2 billions appear in the supplementary budgets of last July’s Parliamentary sitting. It remains a mystery where the RM 1 billion for Sabah comes from or will go to. The one and only sector where hard working people make money for the government is the oil palm sector. But the government jealously had chosen to punish this “golden egg goose” by imposing a wind fall tax of 15% in June 2008, something that oil palm industry is still reeling from and unable to recover. This budget 2009 did not deal with the issue of the damages caused to the oil palm industry. A form of damage control would be to reduce the foreign workers levies to a flat RM50.00 per worker so as to make it more feasible for employers to register their workers. Sadly, the budget missed out the subject of foreign workers levies. This budget is obviously sugar-coated to pacify the people with many unprecedented goodies. But the source of funds has not been adequately explained. As for inflation, something that affects most people, July saw a high rate of 8.5%, the highest in the last quarter of a century. For the poor people, the real effect is definitely much more than 8.5%. Pensioners and average persons with bank savings will find that their savings depreciate in value because inflation in wiping out the value of their savings. I find it disturbing that the PM has forgotten altogether to address inflation. The budget did not even forecast the inflation rate for 2009. Tony Thien Malaysiakini Sarawak correspondent picked this up from a local daily quoting the CM of Sarawak http://www.malaysiakini.com/news/88803. “Let him continue to brag. The word is ‘brag’. I covered it yesterday with an article ,”POKOK MASIH GOYANG” . I even received an sms from an architect friend saying that PRS president James Masing must have meant “they don’t jump over like frogs,they will fly over like hornbills.” I thought he did say that but upon checking he did say,”Sarawak is the land of the hornbills,not the land of frogs.” Very imaginative and trying to twist words but it did convince me for awhile. Anyway i still think that sms is a useful tool but do not abuse and create mayhem or uncertainties. Going back to Anwars September 16th target. Well. not unless Anwar can deliver nobody will believe. I did ask Anwar ,”Show me the first 4 MPs” Now it seems that everyone in BN is getting on the bandwagon and condemning Anwar for rattling the adminstration and calling a ,”BLUFF.” If he manages to do it ,it is a real good one and in the end it will turn to reality. That is one of the reasons the top leaders in BN are looking and keeping a ,”hawks eye” on the YBs. James even went on to say,”I think dreaming is not a privelege for those who are asleep.Dreaming can also be for those wide awake.” He is feeling confident that a number of divisions have woken up to the realities and that he is the President to lead them. When a leader sounds “Convincing and shows leadership” qualities his members feels secure. The ground is very favourable towards PRS divisions coming back as a unified entity. Talks are progressing into the final stages according to a source. As a coalition partner he and PRS is standing steadfastly behind the CM and BN government. A political secretary to the CM from PRS echoed that the party is behind the CM Taib and also had the same views that the voters views should be respected that they have given the BN the mandate to rule after the GE of March the 8th. We have 4 1/2 years until the next GE. Can’t Anwar wait..? echoed a senior party member. There are many equations and if September 16th is not achieved Anwar will have losts a lot of credibilty. But if he manages to push his agenda through the term,”INFODEMICS” will be used by many. President Lee was under siege as rumours of the the mad cow disease hit him hard. “Cow products are used to make pampers,which gives babies who wear them mad cow disease. Videos and pictures online and this worked people up. So Anwar is it real or just a brag? We know that internet has become an active space for information and engagement and Anwar is capitalising on this. The MALAYSIABOLEHLAND script gets better, there are 18days left to September 16th……. Beh Lih Yi & S Pathmawathy has their report in Malaysiakini http://www.malaysiakini.com/news/88737 in which Datuk Seri Anwar Ibrahim at his first press conference as the parliamentary opposition leader continued to keep everyone guessing on his Sept 16 plan, in which he said there would be a change of government. Things are cooking up across the South China sea in the island of North Borneo. The thorn in the flesh of Prime Minister Datuk Seri Abdullah Badawi, SAPP will be organising a Convention on Sabah Issues on this coming 30 August 2008 at the Putera Theatre Ballroom, Kota Kinabalu from 12.30pm. The Organizing Chairman of the convention is Datuk Eric Majimbun who is one of the member of parliament (Sepanggar) who has stated his no confidence in PM. Datuk Eric said the current political development in the country had prompted SAPP to organize this convention. The convention is a follow up to a Special Committee chaired by Majimbun which was set for the purpose of collecting, compiling and analyzing issues submitted by the people. He believes the convention will provide an opportunity for views and recommendations to be expressed by the people. The views will be compiled into a document for endorsement by other political parties, organizations and individuals paving the way for it to be adopted as a roadmap for Sabah towards establishing a trustworthy government and a progressive, just and harmonious society. He feel it is important during this critical period for the people to re-connect with the history of Sabah’s independence, the position of Sabah as a state within the Federation of Malaysia as well as the current economic condition of the State. As SAPP has been the first BN component to voice their no confidence in PM, will they make an announcement to pull out of the coalition on the day of the convention. Remember how former PM Tun Dr. Mahathir Mohamad announced his resignation as a life member of UMNO at his talk? The convention will also feature four speakers that is former chief minister of Sabah Datuk Harris Salleh, Malaysia Human Rights Commission Deputy Chairman Tan Sri Simon Sipaun, CEO of the Sabah POIC Dr. Pang Teck Wai and Kedayan author Mr Amde Sidik. 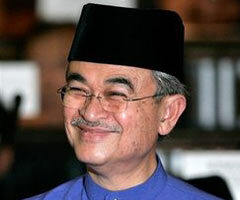 The presence of Datuk Harris will spice up the convention considering the fact that he won a election nulifying Yong ‘s election as a ADUN in 1999 (http://www.freeanwar.net/facnews/justicekamil100601.htm). That had resulted in the so called “red card” for Yong who had to sit out two general elections. It is believed Harris agrees with SAPP’s declaration of no confidence against the PM. Will 30 August see any special move on Sabah politics? 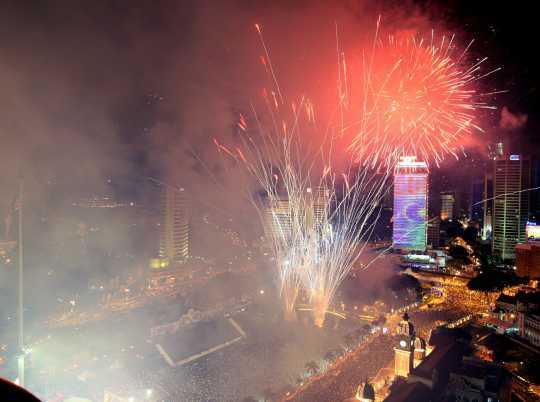 Is it the prelude to the 16 September date Anwar was flashing about? So fasten your seat belts, when the guillotine drops it is going to be really messy! Do you think SAPP will survive this Merdeka..?